We have three bed and breakfast rooms to offer, all newly refurbished and decorated to a high standard. Breakfast is included with the room. Price dependent on number of adults. All rooms are equipped with tea and coffee making facilities, hair-dryer and a Freeview TV. Ironing board on request. We can also offer free Wi-Fi internet access to all our guests. Two travel cots are available, so if you need to book a cot, please be sure to ask beforehand. Special Requests: To make your stay even more special we are happy to arrange for Champagne, Flowers, Chocolates to be waiting in your room on arrival. If you have any other requests, please do not hesitate to ask and we will do our best . Breakfast - All prices include a choice of Continental or Full English Breakfast, served from 8am to 11am or earlier by arrangement. I loved my 2 night stay here at The Five Bells. Clean. Welcoming. Lots of hot water. Great sleep. I would definitely stay again. 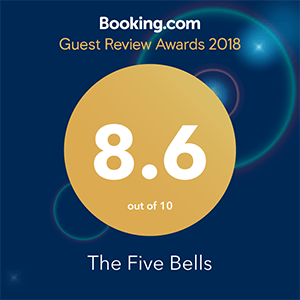 We had a lovely stay at the Five Bells, everything was to our satisfaction. Clean room, good food and friendly and helpful staff. Warm and welcoming. Great little B&B, very friendly atmosphere and would certainly stay again - thank you for your hospitality! Lovely and friendly staff. very flexible and accommodating - we had to check out early and they were more than happy to serve us breakfast earlier than the usual times. Thank you for a lovely stay, this room was perfect for me as I was attending a wedding just down the road. Staff were really lovely and helpful, helping me with bus times and flexible with check in times to accommodate the wedding so that was really appreciated! Room and bathroom were clean and nice to have little extras like tea and coffee and toiletries. 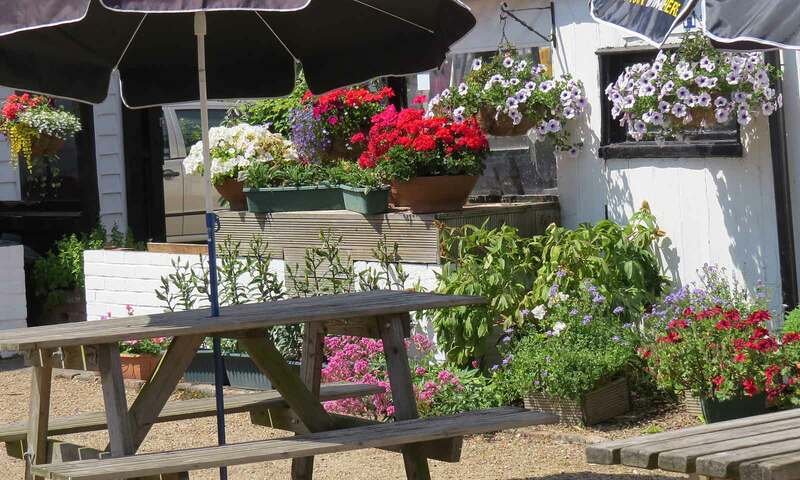 Lovely traditional village pub with a wonderfully friendly and helpful landlady and staff. Excellent breakfasts and a delicious evening meal. A traditional pub in a lovely village with friendly helpful landlady and her staff. We were made to feel welcome and valued. Good breakfasts and we also had an excellent evening meal there. Traditional village pub - no frills. Staff were very welcoming. Parking is limited but staff do help keep it open for lodgers. Only had to wait for a space twice and only for an hour. Street parking is available for short periods. Food is excellent pub faire. Popular with local people which is a good sign and they welcome visitors to join in. Rooms are excellent and well maintained. A fun stay ..... A real taste of England. Very nice stay . Room very comfortable. Breakfast was very good. Menu for dinner had plenty of choice & good value. A good pub. We enjoyed out stay at The Five Bells, thank you for the care! Nice cosy local pub. Good ale served. Family room big and clean with comfy bed and good shower. Very friendly and hospitable. Arrived 10 minutes before the kitchen closed! But they were happy to provide a really delicious meal. Breakfast was at a time set by me and having the full English was scrummy. Nothing was too much trouble for the very friendly staff. I would loved to stay longer, but was not on my agenda.